Rwanda has many attractions that tourists see while on their safaris in Rwanda. 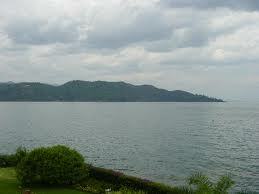 Here we have the famous lake in Rwanda that is Lake Kivu which lies along the Congo border. Lake Kivu is the largest lake with fresh waters in Rwanda and one of the Great lakes in Africa therefore attracting many tourists to come for Rwanda safaris and watch the beauty of the lake. Above sea level the lake is of height 1460 and covers a total area of 2700sqkm therefore giving tourists on Rwanda safaris the opportunity to safari many things in the area. The shores of Lake kivu gives you the opportunity to see the cities like Gisenyi, Cyangugu and Kibuye in Rwanda plus other cities of Congo. Tourists on safaris in Rwanda also get exposed to the Idjwi Island that is found on Lake Kivu. Lake Kivu flows into the nearest Ruzizi River which also flows in Lake Tanganyika. Tourists on their Rwanda safaris really feel nice watching water flowing to other lakes. Tourists on their Rwanda safari are always happy to watch the Periodic volcanic activity which is so unique therefore making their safari in Rwanda a unique experience. However this causes a mix of chemicals in the water.